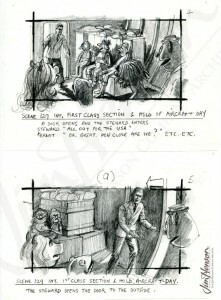 When putting Muppets in outlandish situations, great preparation is in order. This was true for practically every scene in The Great Muppet Caper, including the finale/credit sequence. To return to the US after solving the mystery of the great baseball diamond heist, Kermit and the gang fly back in the cargo hold of a jetliner. 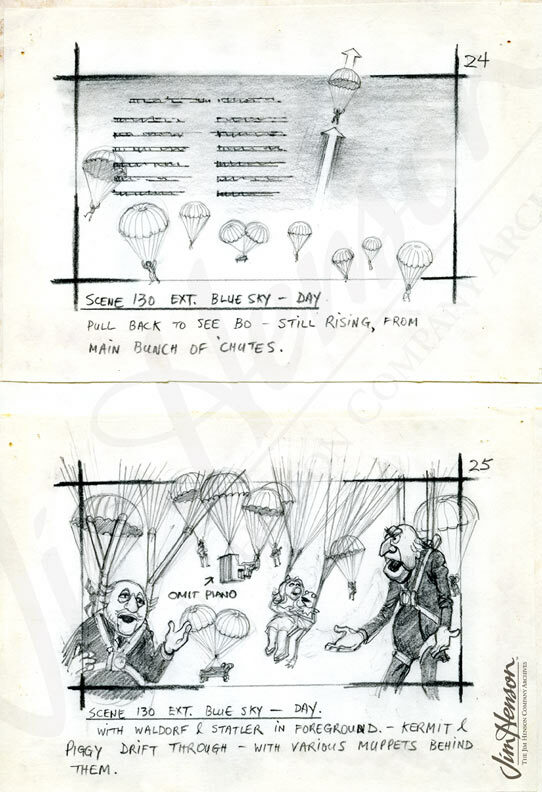 They are jettisoned out of the plane wearing parachutes and as they float toward the ground, the last jokes are cracked and the credits roll. 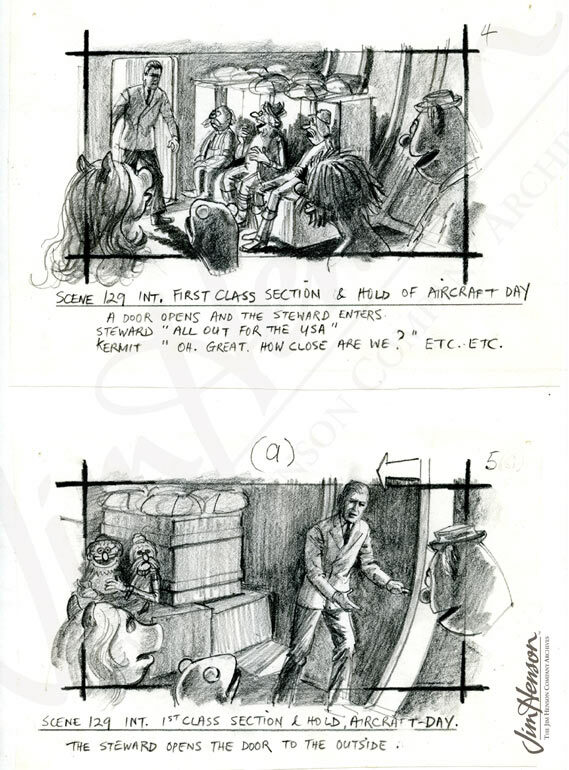 A July 15, 1980 memo from Caroly Wilcox of the Muppet Workshop made it clear why they waited until the last days of filming to shoot this scene. 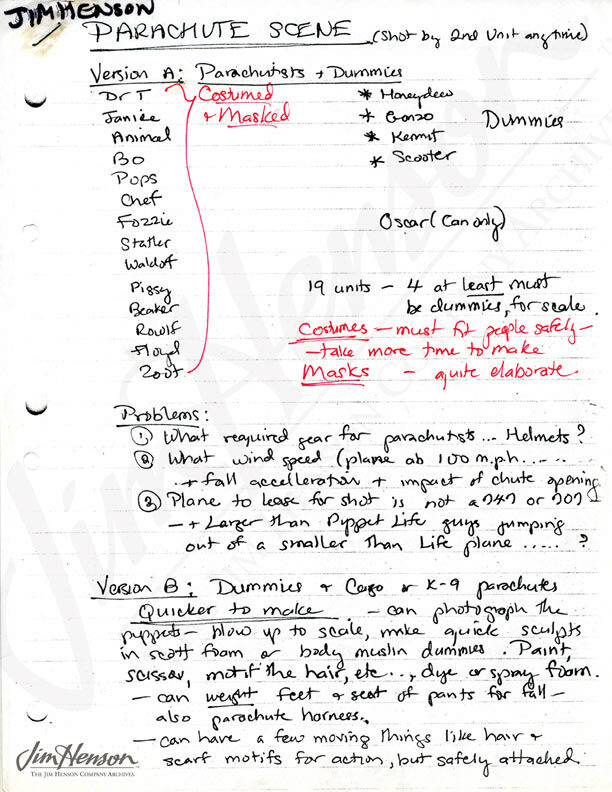 The possibilities she outlined included using costumed parachutists wearing Muppet masks, using oversized dummies carved to look like the characters, or shooting a scale model of plane with miniatures in a wind tunnel. 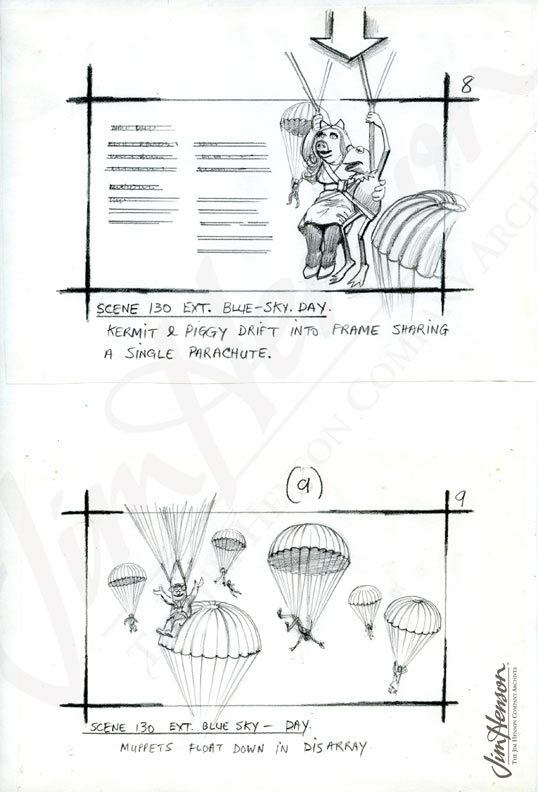 Jim went with her last suggestion – to wait until the end of the shoot and use real puppets in weighted harnesses. “If they get ruined, they get ruined,” Caroly noted. my ip address The movie would be finished so it wouldn’t matter. 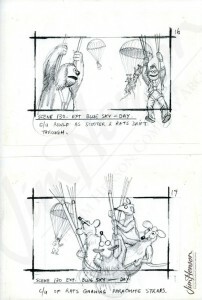 The close ups were done in the studio and then for the long shots, the puppets were thrown out of the plane. 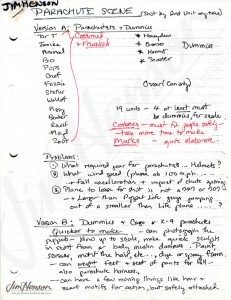 Caroly Wilcox’s memo outlining ways to shoot the parachute sequence. 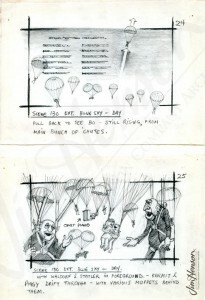 Selected storyboards from the parachute sequence drawn by Bill Stallion, 1980. 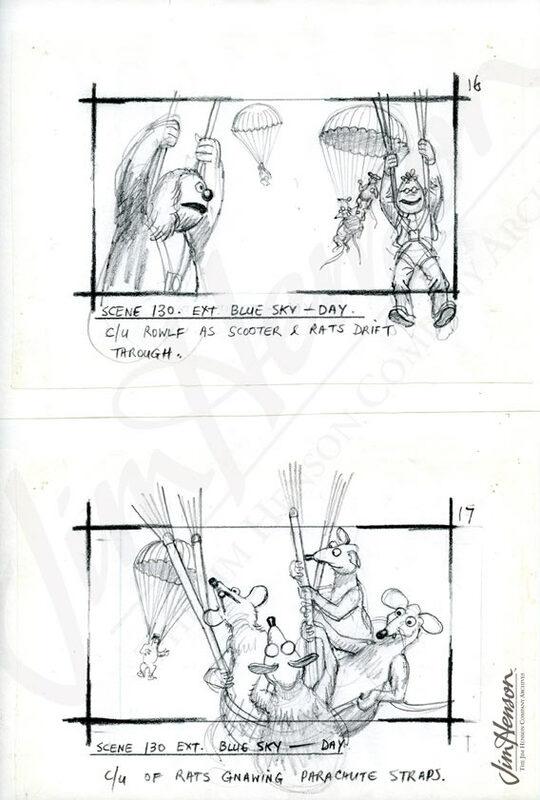 This entry was posted in 01-January '81, 1981, Great Muppet Caper and tagged Caroly Wilcox, Kermit, Muppet Workshop, parachutes. Bookmark the permalink.